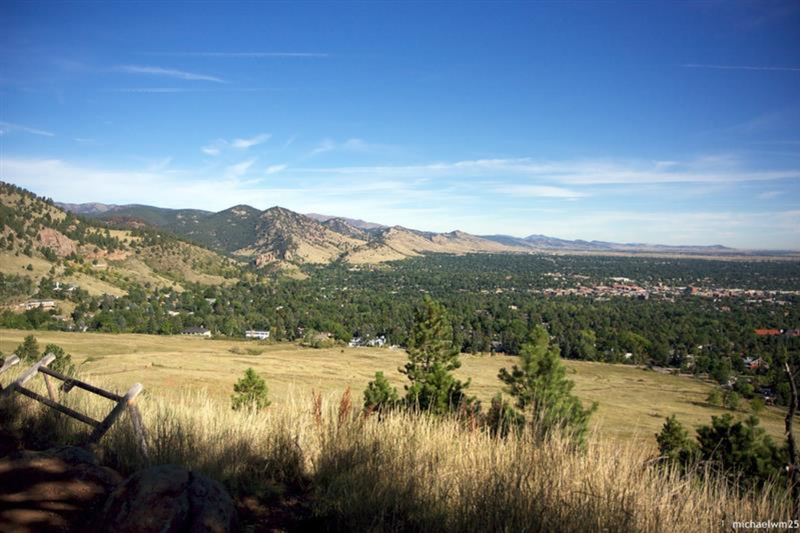 Boulder’s Chautauqua Park was developed in the 1920s as an intentional community focused on giving people the opportunity to develop both mental and physical traits within the setting of a like-minded society. While the Chautauqua movement has generally faded, the park that served to connect people to nature is as vibrant as ever. There are many trails to wander and explore within the park making it a suitable place to go for a casual stroll or the launching point for bigger adventures. 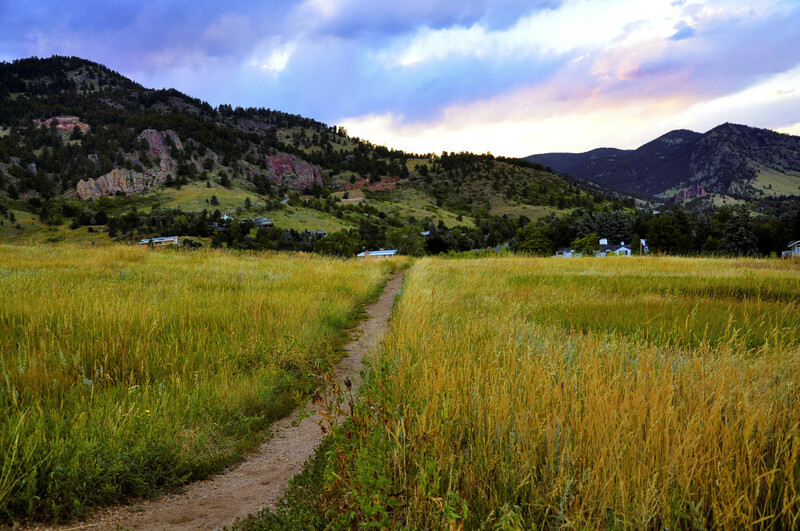 You don’t have to be a hiker to enjoy Chautauqua. The verdant, green grass and well manicured lawn makes it a great place for a picnic or to toss a frisbee around. If you do have the urge to wander, the network of trails makes it easy to link dozens of routes together, making for unique loops. Both the Amphitheater and Mesa Trails connect to the park as well, meaning you can hit up Green Mountain, Bear Peak or even South Boulder Peak. Or simply explore the Mesa Trail all the way to Eldorado Springs, about 6 miles one way. 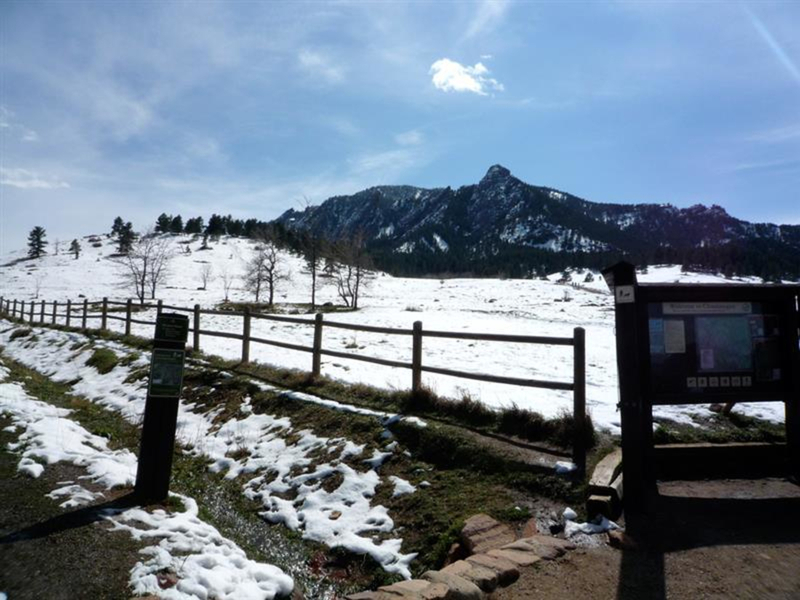 The Chautauqua and Bluebell-Baird Trails are nice for hikers hoping to get in a shorter outing to soak in the views of Boulder to the south. Both the McClintlock and Enchanted Mesa Trails go a little deeper into the park and pass several historical landmarks, including the old stone bridge (which held fast during the floods of 2013). And if you’re up for bigger things, the 1st / 2nd Flatiron Trails, Amphitheater, and Royal Arch can all be accessed from the parking lot. Wherever you roam, the scenery is great and the forests that sit at the foot of the Flatirons have a charm all their own, as Abert’s squirrels frolic in the trees, deer meander through the woods and even the mighty black bears amble about in search of berries. Hikers of all levels will enjoy the pristine setting and mountainous views. From the parking lot, the trails cross a large hill that is decorated with wildflowers and wild grasses. These fade as the paths enter the shady but inviting forest, where well-marked trails continue into the wilderness. 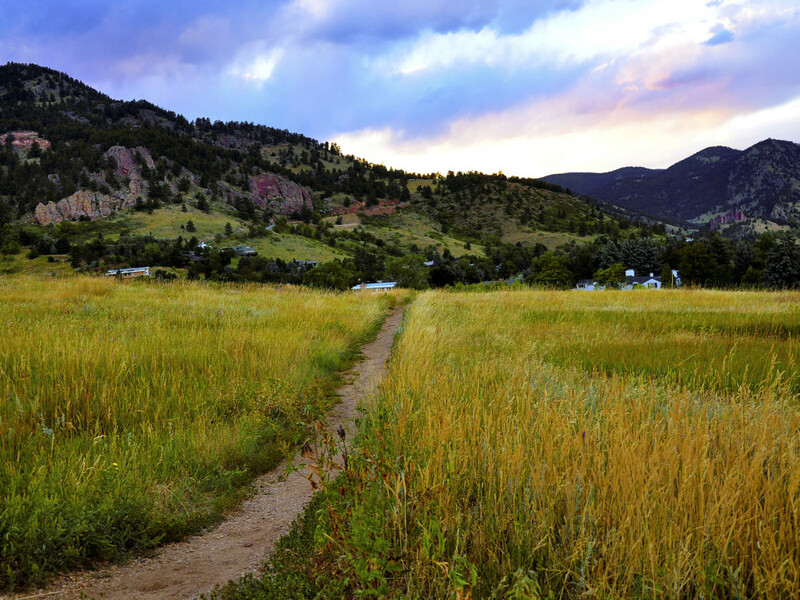 Chautauqua is perfect for short hikes or all day epics -- all starting right in town. The entrance to the park is one mile west of the intersection of Highway 93 and Baseline Road. Turn west onto Baseline (towards the mountains) and the entrance to Chautauqua will be on your left after going up a steep, paved hill. Parking is very limited in the park itself, especially on weekends. Road parking is available but please pay attention to signs, as some sections do not allow parking.